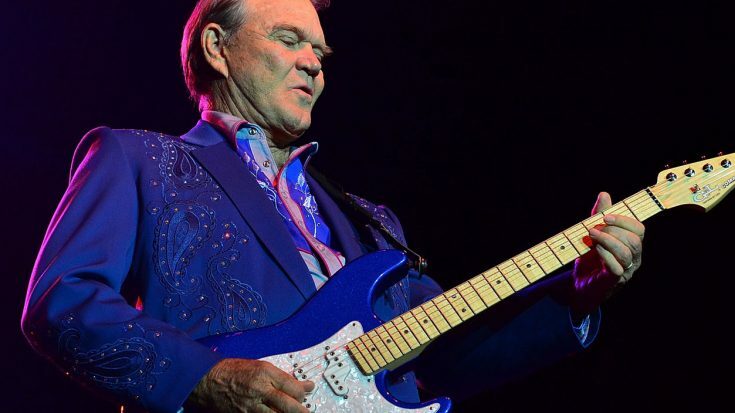 It’s with an extremely heavy heart that we report that country legend and real life guitar hero Glen Campbell has died at the age of 81. A fiercely respected musician whose career stretched back to the late 1950s and earned the respect of musicians and critics across the musical spectrum, Campbell’s death comes after a lengthy battle with Alzheimer’s and was confirmed just a few moments ago by various news outlets as having occurred just after 10am this morning at a Nashville facility for Alzheimer’s patients. With 45 million records sold, 12 RIAA Gold albums, four Platinum albums and one Double-platinum album – oh, not to mention a total of 80 different songs on either the Billboard Country Chart, Billboard Hot 100, or the Adult Contemporary Chart (of which 29 made the top 10 and of which 9 reached number one on at least one of those charts) – Campbell’s contributions to the rock world and his chops as a world class guitarist cannot be overstated; he was part of the famed Wrecking Crew, an amalgam of some of the best session musicians the world had to offer, playing on recordings by The Monkees, Elvis Presley, even filling in for The Beach Boys’ Brian Wilson and playing on their critically acclaimed album Pet Sounds. More important than his career accomplishments, Glen leaves behind a wife and eight beloved children, all of whom will miss their husband and father beyond measure. Our hearts go out to them during this difficult time, and we wish them peace as they begin to navigate the painful reality that is life without Glen. Thanks for the music and the memories, Glen.